Arsenal boss Unai Emery has confirmed an injury boost ahead of Sunday’s clash with Everton but two other players are facing a race against time to make the trip to Goodison Park. 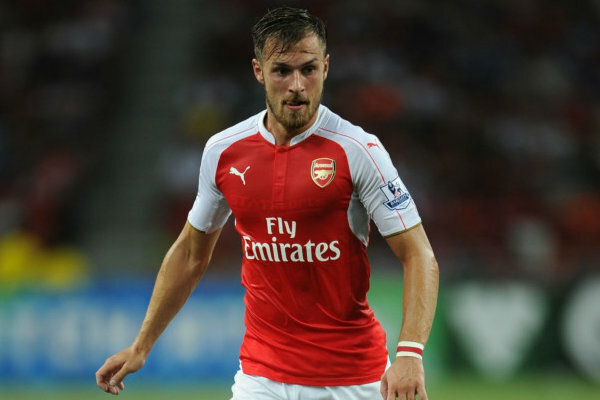 Let’s start with the positive news and it looks like Aaron Ramsey is fit to face Everton this weekend. The midfielder limped off during Monday night’s 2-0 win over Newcastle United and Emery initially hoped it was just cramp. However, the club issued a team news update on Friday morning and revealed that Ramsey was carrying a groin injury and would need to be assessed at London Colney today. Emery then confirmed at his pre-match press conference this afternoon that Ramsey was able to return to full training so it seems the Welshman will be in contention to take on the Toffees. Rambo’s availability will be important as Lucas Torreira is still suspended and Xhaka is a major doubt after not taking part in full training this morning having missed the Newcastle game earlier this week. The midfielder picked up a groin problem while playing for Switzerland during the international break and he’s now facing a race against time to make the trip to Merseyside on Sunday. Koscielny also sat out the win over Newcastle with a foot injury and Emery has confirmed the Frenchman was also unable to take part in training at London Colney today so it remains to be seen whether he’ll be available against Everton. “We are waiting on tomorrow’s training, some players – Xhaka, Koscielny – didn’t train with us today. They are working with the physios. Let’s hope Xhaka and Koscielny resume training on Saturday as it would be a big blow to lose them for this crucial clash with Everton but it’s a relief that Ramsey should be available for the game. We head to Goodison sitting fourth in the table – level with Chelsea and one point behind Tottenham with a game in hand – so we can reclaim third place with victory over Everton on Sunday.